When the invitation to the official opening of Rice Workshop landed in my inbox I was intrigued and more than a little bit excited. I was promised a new Japanese food concept along with an opening night dress theme of Harajuku. Having been to Japan a few years ago and immediately falling in love with its food and fashion I was looking forward to the evening- and it did not disappoint! I’ve had a long time fascination with Harajuku style so I was happy for an excuse to go all out and aim for a super kawaii look to get into the spirit of the night. As a bonus Fashion Torque hosts Jenny Bannister and Phillip Boon were going to be awarding prizes for the best dressed. I plundered my wardrobe for all things bright, fun, sparkly and heaped everything on layer upon layer. Applying my makeup with a heavy hand it was time to brave the wet cold evening with my friend Anthony and find out what Rice Workshop was all about. Located at 238 Little Bourke St in the CBD Melbourne, Restaurateur David Loh and Chef Tomohiro Suzuki have brought the Japanese Donburi concept to the city. 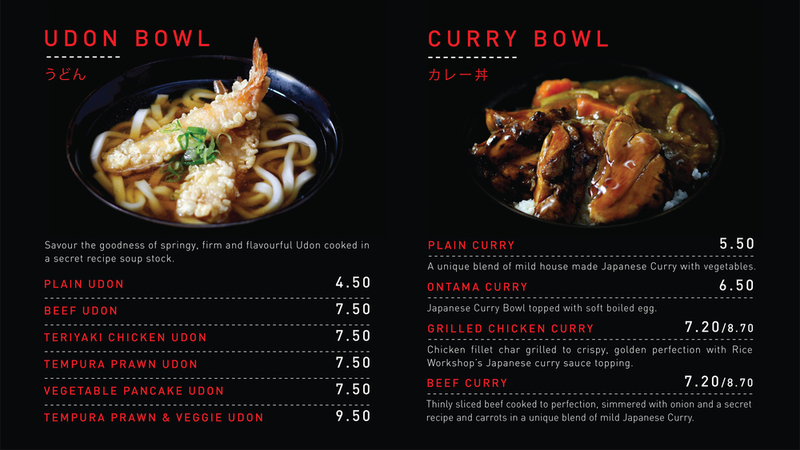 For those not familiar with Donburi it means ‘bowl’ and in food terms refers to a bowl of rice with toppings. Rice Workshop for a relatively small space has plenty of options on the menu and at very purse friendly prices. The restaurant is split over two levels and has a quirky and inviting interior with the upstairs being a bright open dining space. On offer at the launch was a delicious and delightful array of food with my favourite being the stewed beef bowl, which was so good I went back for a second helping (Known as Gyudon in Japan- Rice with beef and onion with a tasty broth). I’m a bad blogger and was too busy eating to remember to take photos of the food. Plenty of guests had got into the theme of the evening with bright and colourful outfits lighting up a very grey evening. The fabulous Jenny Bannister as always was dressed to impress with a long blonde wig and big fuzzy spiders adorning her head. Jenny along with Philip selected me as the winner of the best costume with second place going to Milliner Richard Nylon. He went goth with flowers on his mustache providing a dash of pink. Third place went to his wonderfully fun assistant Kristine Live who had sequin eyebrows topping off her mad Harajuku, Kawaii look. Given the great tasty food, excellent prices and central location, Rice Workshop is sure to be a hit- especially with workers in the CBD after a quick easy meal and students wanting to get some seriously yummy bang for their buck. I know next time I’m dashing around the city I’ll be making a stop at Rice Workshop.